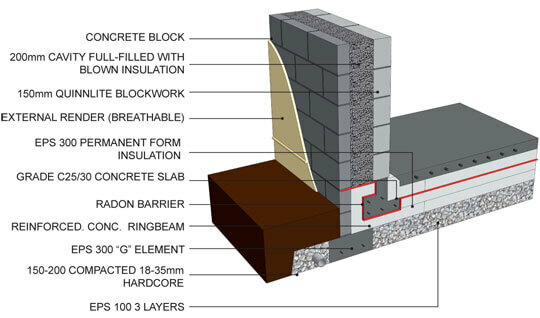 This Externally Insulated Quinnlite Block Passive Houses is being built in Cavan from Irish building materials, the 150mm Quinnlite Block wall with 200mm of EPS External Insulation delivers an Excellent 0.139 U-value, which is well within the Passive House guidelines. A warm to touch Quinnlite wall always feels a few degrees warmer than a concrete block wall due to its higher insulating properties, so the house always feels more comfortable, allowing you to turn down the heat a few degrees without noticing, (this is known in Scandinavia as the feeling of warmth from warm materials). 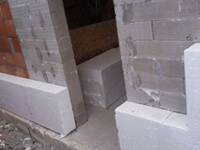 This wall build-up has an 11 hour Decrement Delay due to the density of the Quinnlite blocks which slows down heatloss and protects against Summer overheating. Quinnlite has a medium hygroscopic ability similar to Poroton so it's quite good at buffering humidity, naturally regulating the humidity levels in the house which lowers the risk of fungus and mould growth. 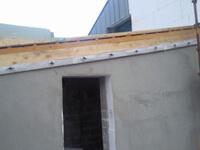 Our building system eliminates the Cold Bridges around the windows/doors and where the wall meets the roof and floor, so the U value of the wall isn't comprimised by Cold Bridgeing. 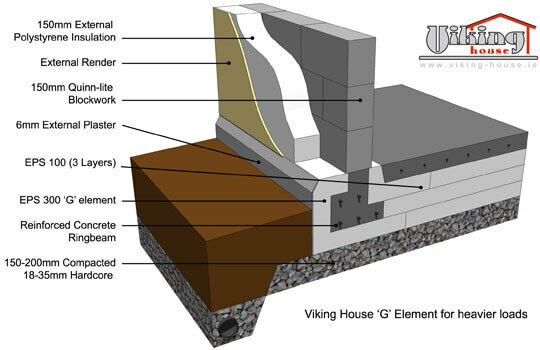 Viking G foundation element with a Quinnlite internal leaf, a 200mm cavity filled with EPS Platinum bead and a concrete block external leaf. You can see how easy it is to run the Radon Barrier with our system, this is the major fault with our competitors! 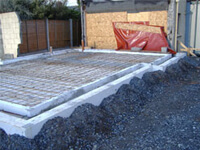 Here are some photos of a Passive Extension we built using the system. You can see the 250mm Pumped Cellulose in the Roof with 80mm of Wood fibreboard over the rafters delivering an excellent U-value of 0.088. 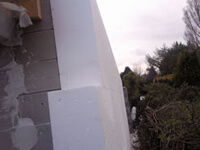 This gives a windtight, airtight breathable roof which will last a lifetime. Compare this with the traditional build method! 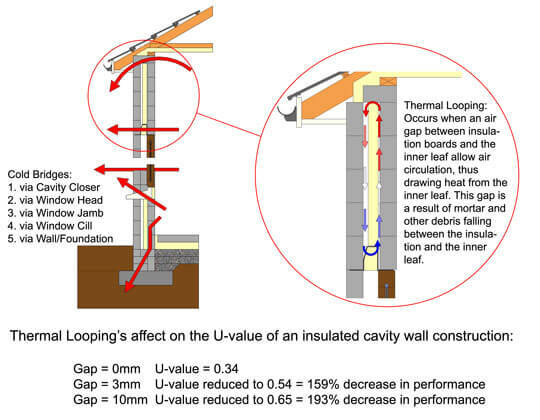 LaCompte's 1990 paper shows that a 3mm gap between the insulation and the inner block reduces the U-Value from 0.34 to 0.54. A 10mm gap like the one above reduces the U-Value to 0.65, a 198% decrease. 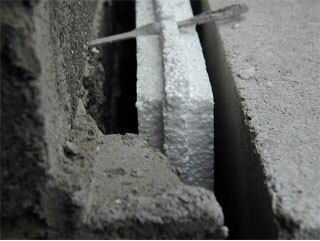 Irish blocks are manufactured to a 2mm tolerance so any 2 blocks can have a 4mm width difference. I have not mentioned anything here about snots of mortar holding the insulation away from the wall and about bad workmanship. When you build using the traditional systems like this you never get the U-values you expect!